Archaeological heritage management is a contentious topic. A recent satirical advert in a Dutch national newspaper, offered tips on how to circumvent the Dutch Heritage Act. It suggested that it is very easy to avoid the costs for mandatory archeological research because of loopholes in the law and lax enforcement. The advert riled many archaeologists and led to MPs putting parliamentary questions to the Minister of Education, Culture and Science on the state of archaeological heritage management in the Netherlands. A new Dutch Heritage Act entered into force one-and-a-half years ago. A symposium evaluating this act was organised by the Faculties of Law and Archaeology the day before the appearance of the advert. 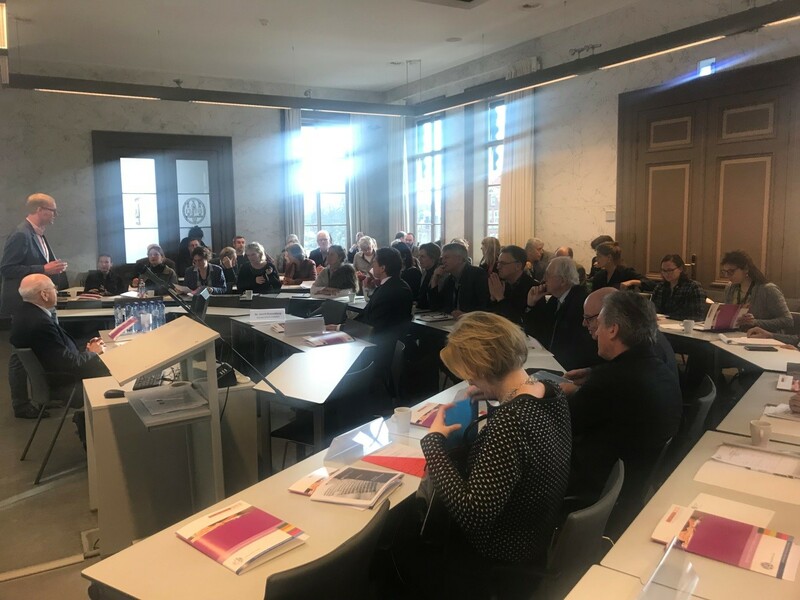 As 2018 is the European Year of Cultural Heritage, it is appropriate to present the outcomes of the recent symposium on whether there is a need to fine-tune the functioning of the Act. During the symposium, different stakeholders voiced concerns on the functioning of the Act especially in the domain of archaeological quality-control and reporting. This is also the issue which the satirical advert raised. After the ratification of the Valetta treaty on the protection of archaeological heritage, the Netherlands opted to organise development-led archaeology commercially. This means that excavations are tendered by the developing party and generally granted to the lowest bidder. To ensure minimum quality standards, a Heritage Inspection (Erfgoedinspectie) was set up. This organisation, however, lacked the manpower to adequately uphold quality standards. Under the new Act, a system of certification was introduced. An important part of the control system has been transferred from public to private hands. Instead of a State inspection, archaeological companies under the new Act are subject to mandatory certification for different kinds of archaeological activities. The certificates are furnished by commercial parties, which undertake audits to ensure that archaeological companies adhere to quality standards. These standards in turn were defined by the SIKB, a foundation in which all stakeholders in Dutch soil management collectively decide quality standards. However, certification is not mandatory for all types of archaeological work, hence some links in the chain of archaeological heritage management are not overseen. Archaeological companies in the Netherlands were granted a transition period of one year to arrange their certification for archaeological activities. Hence the system of certification has only been in force since 1 July 2017. At the Symposium, participants were cautiously optimistic that the new regime will lead to an improvement in quality standards, especially in the programmes of archaeological research for planned excavations. At the symposium, many participants voiced their concern over the efficacy of the Dutch system. Commercialised development-led archaeology is not prescribed by the Valletta treaty, but is a political choice. As Leonard de Wit, legal specialist at the State Heritage Service, succinctly put it: “Bringing a public good to the market requires a complex operation. It requires either strict supervision or very fine-tuned self-regulation.” It is not exceptional that private companies have to safeguard a public interest, but the particular construction as set up by the Heritage Act might prove insufficient to protect the cultural heritage as intended by the Act. Some neighbouring countries have opted for a different organisation of development-led archaeology. At the symposium, special reference was made to the French situation. In France, excavations are conducted by a state-owned agency, INRAP. This has led to ambitious, scientifically grounded research projects that are often held up as examples for the Dutch situation. Especially the excavations of large surface areas of difficult-to-prospect Stone Age sites are unheard of in the Netherlands. Here, Stone Age sites are often only discovered during building activities, at which point it is too late to conduct meticulous research. However, it was observed that this French system also has drawbacks. Especially in periods when the State is effectuating budget cuts, the continuity of archaeological research is undermined. In all, it was felt that quality control is more easily effectuated in France. An added advantage is that “invisible” elements of the archaeological process are also performed as a matter of course. In the Netherlands, a major problem related to quality standards are the standards of reporting and also the timing of the completion of excavation reports. Introductory remarks by Gerrit Dusseldorp. Photograpgh by Karel Loeff. Problems in the quality of reporting and excavations going unreported are among the most pressing issues of the current system. Some archaeological companies complain that developers often do not pay for the reporting of archaeological projects, with one claiming it has gone bankrupt because developers withheld funding for these mandatory activities. The authorities seem unable to enforce the timely payment of such costs. However, this may be caused, in part, by incomplete or unclear quotations on the side of archaeological companies. These issues came to a head last year when one entrepreneur threatened to auction off archaeological materials from projects where the commissioning party refused to pay for the analysis and publication of the excavations. This is obviously a flagrant contravention of the law. The authorities stepped in and seized the materials to prevent this from taking place. At the symposium, representatives of municipal and provincial bodies expressed concerns that thus far the situation has not substantially improved. A constraining factor in evaluating the effects of the current Act is that mandatory reporting has to take place within two years of completing the excavation. Hence, not many reports from excavations conducted under the new regime are available yet. To appreciate its effect on reporting, further evaluation in a few years is necessary. An unreported or badly reported excavation represents a waste of investment. After all, an unreported excavation might as well not have taken place. Related to this problem is the phenomenon of a “graveyard” of excavation reports that are rarely, if ever, utilised. This has been attributed to the sometimes low quality of such reports. The Symposium foreshadowed the political attention for this issue and both illustrate that this is an area where the effects of the new Act should be carefully monitored and fine-tuned if necessary. In the European year of Cultural Heritage, Valletta, Malta is one of two European Capitals of Culture. It is fitting that this city takes centre stage in the year of Cultural Heritage as it was here in 1992 that the eponymous treaty was signed that gave such an impetus to archaeological research in the entire EU and certainly in the Netherlands. The core principles guiding archaeological research codified in the Valletta Treaty are still of immense value. The outcomes of the recent Leiden symposium suggest that initial impressions of the effects of the new Heritage Act are cautiously positive. The Valletta Treaty’s core principles are a productive lodestar for future monitoring and fine-tuning of archaeological practice in the Netherlands.